Over the years we’ve known people who remained loyal to a single church over the course of their lifetimes. This degree of faithfulness is certainly commendable in some, while with others it seems to represent a measurable amount of stubbornness. In a few cases, it cost their children access to children’s and youth ministry which would have served them well; the absence of it having detrimental effects. Others have simply packed up and moved on a regular basis. One couple I knew had a three-year rule. It wasn’t written in stone — sometimes it would be four years — but when they felt they were “getting too close” a particular church (their words) it would be time to hop somewhere else. My thoughts today are about an aspect of this which is particular to the denominational choices implicit in moving from one church to another. In other words, we’re not consider church politics here, or situations where someone was hurt by a church member, or a pastor whose preaching was simply deficient. All of those are significant, but we’re looking at choices made for purely theological reasons. Generally speaking, many of us will choose a church which is simply like the last one we attended. We may be moving from large church to small church (or the other way around) or moving from traditional music to contemporary music (or the other way around) but we’re not looking to rock our personal boat in terms of core beliefs on both primary and secondary matters of faith. Brett attends a church which is planted smack in the center of Evangelicalism. But he keeps hearing about assemblies which identify as Spirit-filled, move more in terms of gifts like prophecy and healing, have a longer, more dynamic worship time, and are equipped to handle issues in spiritual warfare and deliverance. He decides to check it out. Amanda attends the same church as Brett. Increasingly she’s finding the services too unstructured. She keeps hearing about churches which follow a more pre-planned order of service including readings from both Old and New Testaments, the gospels and epistles. There are written prayers including classic ones from people long departed. For her this isn’t about superficial worship elements, it is a doctrinal thing. It’s about propriety in worship and she’s found a church that offers that without moving into liberal theology. Both of these people are moving in different directions along the doctrinal spectrum. There are also people making greater moves. Imagine someone moving from Brett’s new church to Amanda’s new church. That’s a rather significant change of address. Is this a bad thing? I would be worried about people whose moves from one extreme to the other are more like pendulum swings. I would also want to watch out for people who are making moves too often; too frequently. Where I would find value is with people who have spent time at various points on the spectrum; people whose background includes a variety of Christian experience. The people in my opening paragraph have been, in my opinion, simply stubborn. I say that in their case because it has involved a price to pay — their kids’ lack of good youth ministry exposure in their teens and the results of that — that I would say is too high. …Most people leave a church because of push factors or pull factors. In other words, there is either something happening where they are that has created in them a need to immediately vacate, or this something attracting them somewhere else that has created a desire to want to not simply check that out (for a visit) but to immerse themselves in such a community for a period of months or years. The challenge comes when the desire is more of a pull, but the destination is not certain; when the name of the church being sought is an unknown quantity. That may ultimately involve some church-hopping. One does need to try some different flavors to know what one might like. That’s not a bad thing. As long as we’re worshiping God somewhere each week, we don’t have a problem. We are members of a worldwide family of Christ-followers and we should feel welcome anytime we drop into any branch of that family. 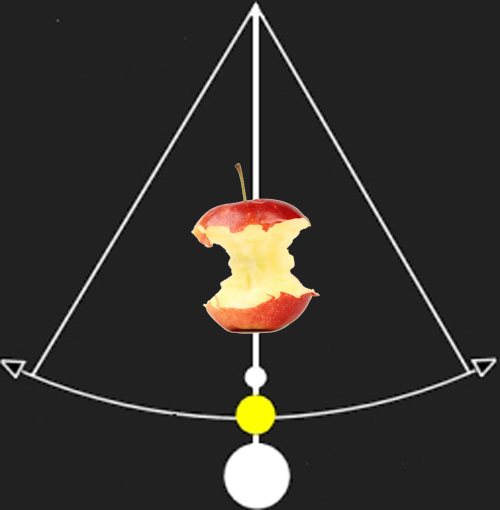 …In the pendulum pictured above, there is an apple core. That represents our core beliefs. These are being shaped and formed over the course of our lives. Individual doctrinal spectra might have extremes, but I’ve deliberately chosen to rest the pendulum in the middle. Our core beliefs are formed from a balance on various issues. Where I stand on issue “X” and “Y” and “Z” might be different from you. Hopefully we all agree on doctrines “A” and “B” and “C” and “D” which form the Statement of Faith of most of our churches. I hope even on “X,” “Y,” and “Z” I’m balanced in my perspective. If you feel it’s time to move on, leave gracefully. If you feel it’s time to simply to do some visiting for a season, then don’t burn your bridges. The place you currently call home represents family, and neither they nor God wish to see relationships fractured. You may want to return at some point, and you’ll do so bringing your charismatic or liturgical experiences back with you. Like Brett and Amanda, be prepared for some new adventures. 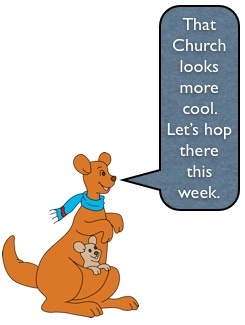 Finally a caveat: Avoid chronic church hopping. 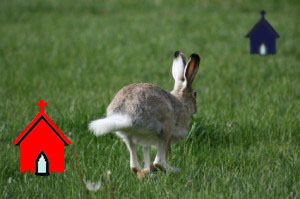 When you find a landing place, be prepared to stay. Let some roots — even if they aren’t deep roots — sink in.